In two weeks time I will be having my first consultant appointment about my birthing plans. Having had an emergency c-section last time (and other complications), I was automatically put under consultant care. At this appointment they will discuss what happened in my last pregnancy and birth, then assess my options for this time round, they will also discuss whether I will have more scans due to my reduced waters last time with Darcie. I should have a choice between a VBAC (vaginal birth after c-section, for those not in the know like my mum!) and and Elective C-section. For me there are definite pro's and con's for both of these options, along the information and recommendations from my consultant, I am starting to do my own research so I can make an informed choice about how I would like to birth Baby Burgess #2 into the world. So here are my thoughts for both, lets first of all talk about VBAC. As I previously said, I ended up having an emergency c-section with Darcie this was after an induction which over stimulated both me and Darcie. It's safe to say I NEVER want to be induced again. Luckily for me, my midwife says that is completely fine and they wouldn't ever take that route(induction) if I opted for a VBAC. The thing is, I have never experienced a natural birth, my induction was pure hell and I just contracted constantly, so I have no idea how I would react to a natural labour. The recovery time (should be) less then that of a c-section, which is something I am very conscious of this time round. With Darcie being three I wont just have a new born to look after, I will have to rely on those around me to help with that task. To be in control of my own body and labour (to a certain point of course). This is something I never experienced with Darcie, I was constantly poked, prodded, monitored throughout the entire event. I was very much not in control and my head completely in the wrong place. I want my next labour to be a relatively calm event and with what ever I do decide to do I will work on making sure I will be in the "zone"! A VBAC, in most cases, is safer for for both baby and mum. This time round I hope to be awake! With my emergency I was put to sleep, meaning I missed everything. This time round if I chose an elective it would be a completely different experience. I have read lots of positive stories about how good their experiences of an elective section were and I hope that my experience could be the same. I know what to expect. I have kind of "been there done that, got the scar"and know how I will recover and feel physically after a section. To be honest I found the recovery not too bad, of course I was fairly sore for week or two but I knew that was to be expected. Planned means less stress. Well it does for me anyway. My main concern is not being mentally ready, and I think with an elective c-section I can prepare myself more than that of a VBAC because I will know what to expect and be able to fully prepare for this. If I am really honest with myself I think I have already made my decision. I am swaying more towards a c-section but I will definitly be going to my consultant appointment with an open mind. I have a feeling they will push for a VBAC, but I am hoping they will understand some of my fears with a VBAC and allow me to make my own decision. Have/are you in a similar situation? What are your thoughts? 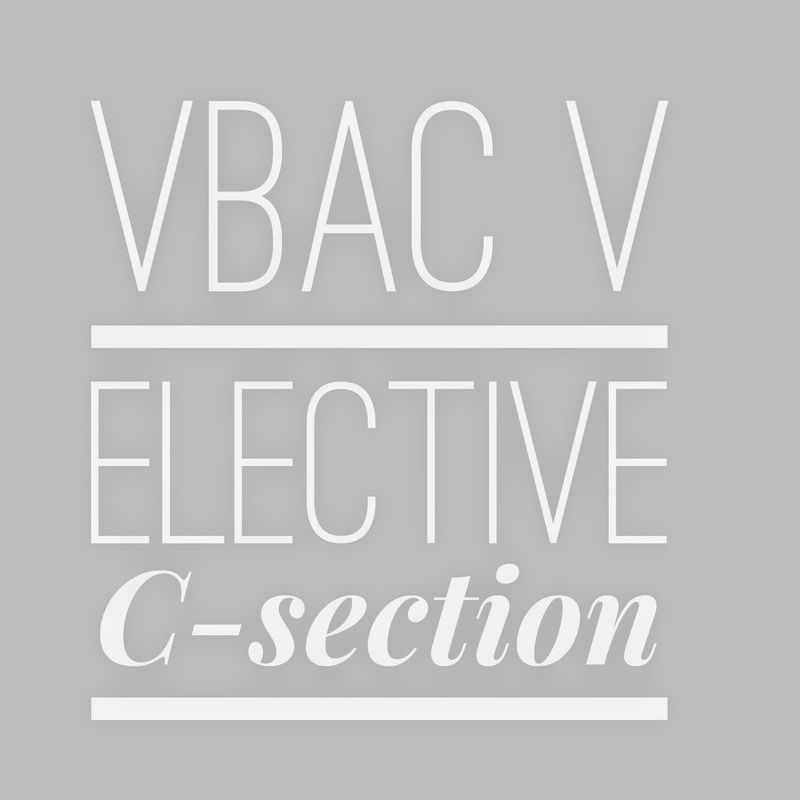 I would love to hear more stories on both VBAC and Elective C-section so if you would like to share your stories please leave them/link below.